The purpose of Legal Operations is to drive efficiency within a corporation’s legal team, streamlining processes and finding risks and opportunities. As businesses increasingly move from paper to email, LegalOps teams have to use the latest advancements in eDiscovery and Analytics technology just to keep on top of all data that the corporation creates on a daily basis. The next level is then to use this mountain of data to the firm’s advantage: finding hidden risks that might expose a business to hefty regulatory fines; sub-optimal terms within sales agreements; model documents that can be used as a template, saving the legal team valuable time in protracted negotiations. 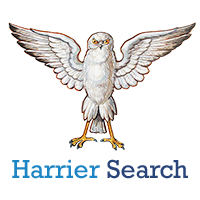 Harrier Search is a specialist firm that works closely with clients and candidates alike to make the recruitment process as pain-free as possible. We look for and identify top candidates for the role, offering one-to-one coaching and interview preparation, as well as total honesty throughout the process. © 2019 Harrier Search. All Rights Reserved.